Legendary record label DFA produce a plethora of artists including recently revived LCD Soundsystem. Among the artists in their roster are Factory Floor, an electronic techno duo from North London. Their debut self-titled album was critically acclaimed among those within the genre and charts, with it reaching number 18 on the UK dance charts. 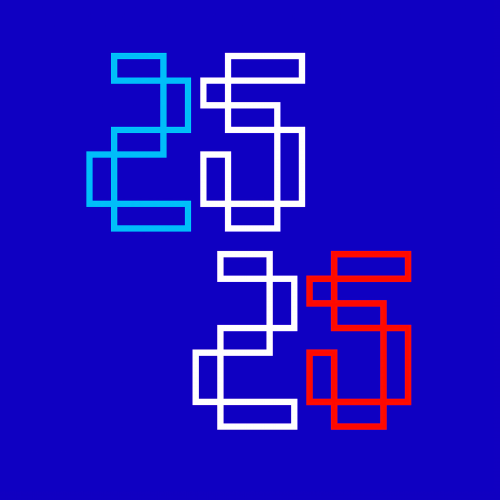 25 25 is their second release, with three years of experimenting being built into it. Each track on the album is five minutes or longer, and so they should be. The mix of intense and sharp beats and synths continuing throughout them all means that you don't want them to end; that you could listen to them forever - thank God for a 'Repeat All' button on most music playing apps. Lead single 'Dial Me In' is particularly of note, as it's perfect for a club scene and should already be on many DJs playlists. 'Yah' is where the album makes the bass turn more prominent, with listening through noise-cancelling headphones or through a DJ booth is just perfect. It's definitely one to impress and even if you're not a fan of that kind of music, you will find yourself inevitably dancing to it. 25 25 has taken their craft and improved it greatly, to their advantage. The experimentation they've gone through has accumulated to nothing short of a masterpiece within the electronic and dance genre. DFA records have created another classic act. You can check out 25 25 on iTunes, Amazon (UK | US), Spotify and watch the music video for 'Ya' (embedded below). Be sure to see what they're up to on Twitter, Facebook and Instagram. Also don't forget to follow me on Instagram to see my posts as soon as they're published.